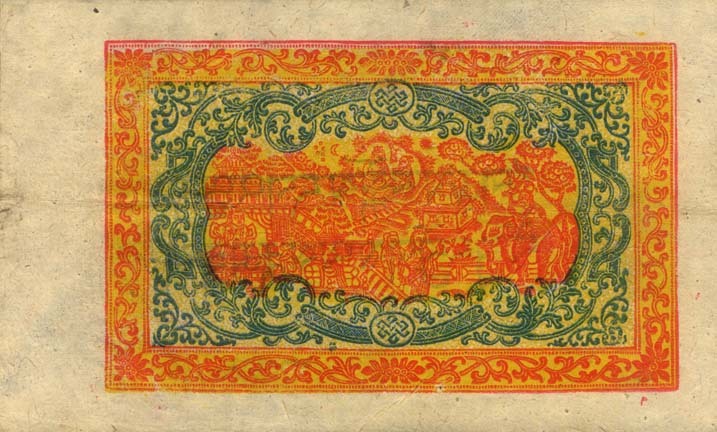 According to the book of "Standard Catalog of World Paper Money" by Mr. Albert Pick, notes of the Srang system were made by pasting together 3 sheets of paper, the middle one having a 2-line security legend printed on it and they were many varieties in size, printing and color. Direct reading of security text is accomplished when the face is held up to a light source. No date. 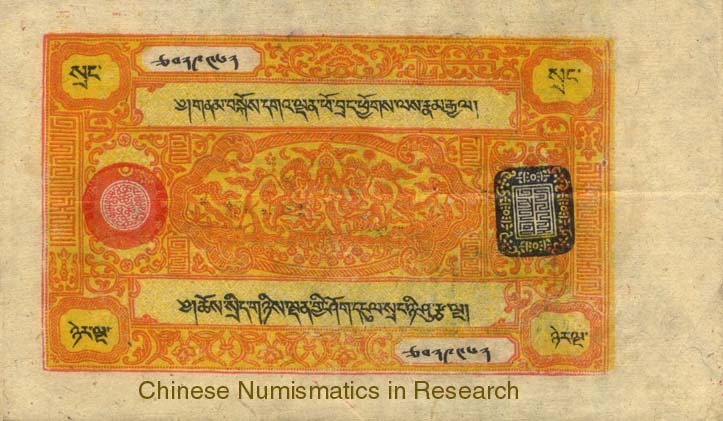 (1941-48). Orange on yellow underprint(background printing). 2 lions at center. 2 lines of text. Back orange and blue, with people, buildings, elephant and rider.